The Cheapest & Cutest Glasses Ever! First of all, I hope you all had a wonderful Valentine's Day on Sunday and are enjoying President's Day! One of my favorite things to do is look at other fashion blogs. 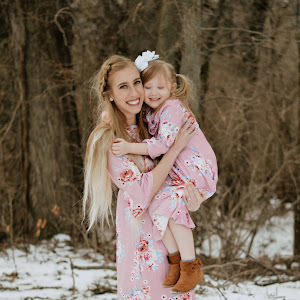 I love seeing their personal style, as well as learning about awesome deals on different clothing items and accessories. 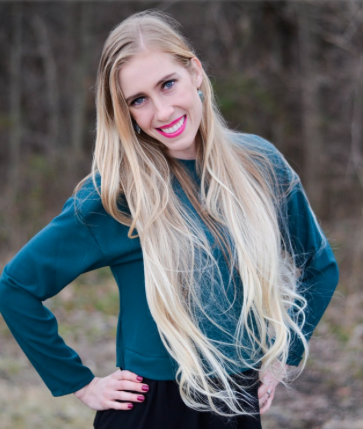 One of my favorite bloggers is Amber Fillerup at www.barefootblonde.com. The other day she posted these super cute glasses and I knew I had to have them when I found out that they were under 4 dollars!!! 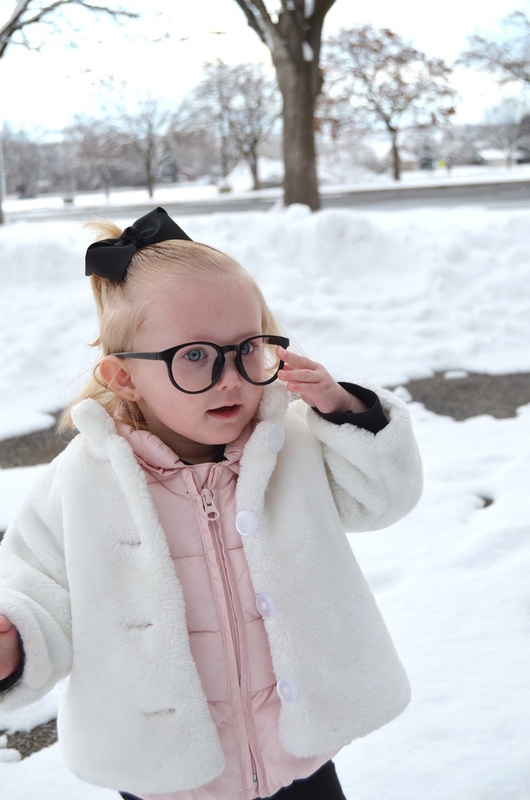 I put them on as soon as they arrived and Rosalie immediately asked if she could have some glasses as well. Thankfully she had these cute little ones on hand so we were totally twinning! But for real, if you want some super cute, super cheap glasses, go get these ones! Forever 21: 30% Off Sale. Code: PREZDAY. Free Shipping with no minimum. 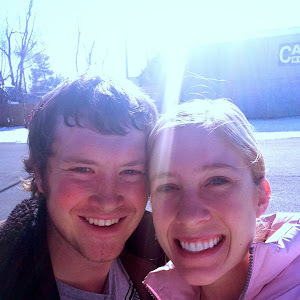 You both look adorable Rachel Nicole. I love both pairs on glasses on you both. Your cardigan and booties are perfect. But I especially love your daughter's two coats and her cute black bow. Are you having a boy or girl next? They are really cute glasses! Those glasses are too cute! I love oversized glasses :3 I know my current pair is falling apart so I'm sort of on the hunt for a new one. Rosalie is the sweetest! 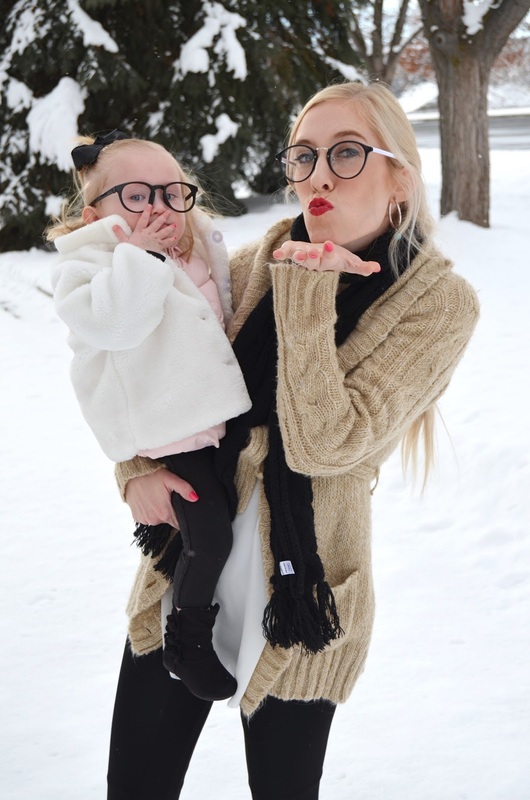 Those glasses look so good on both of you, and I love your red lipstick! love the matching glasses! so cute! just stumbled across your blog and it's so cute!! love that you can rock red lipstick. something i have always been too scared to try! 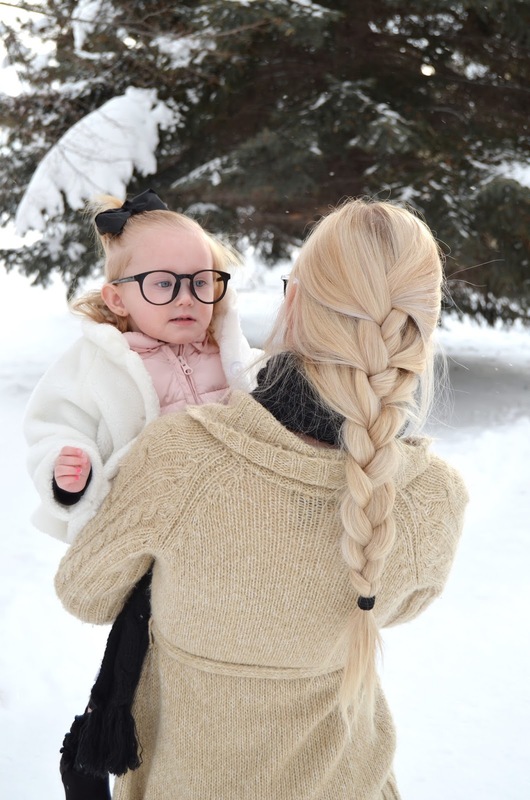 Aww, you and your little one in those glasses... so cute! 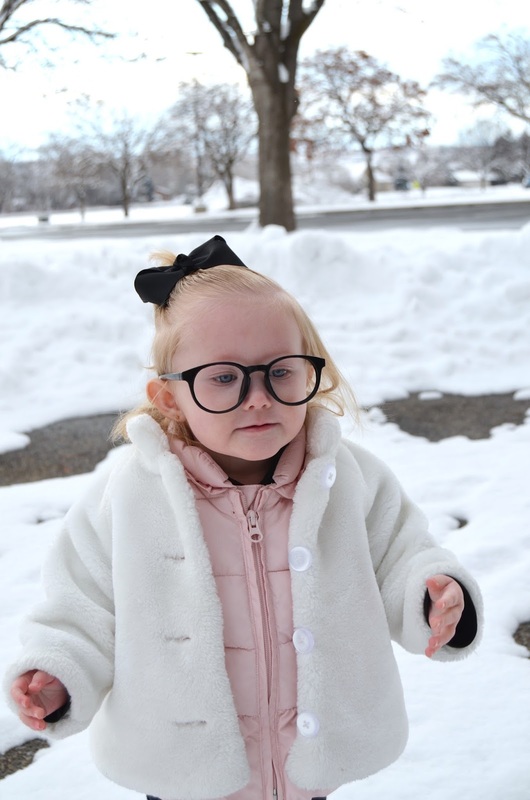 I love this cute, casual look and the pictures in the snow are so fun! Great glasses and your hair looks so pretty! Love your glasses!! You both looks so beautiful! Love your layering here, and the glasses are so cute! 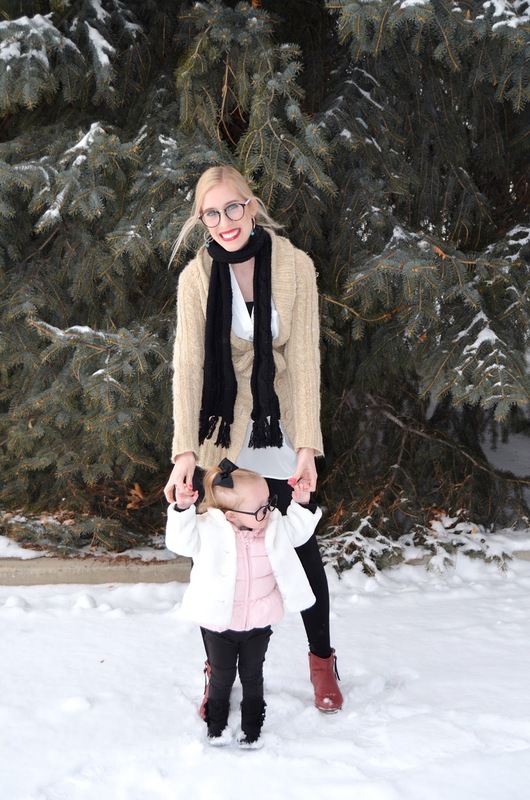 Wonderful pictures in the snow, love the red booties and your hair and the matching glasses are too perfect! 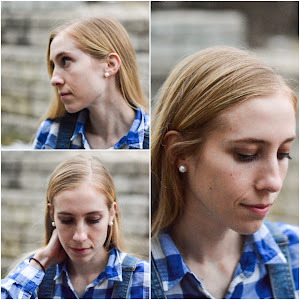 Your hair looks gorgeous in that braid! 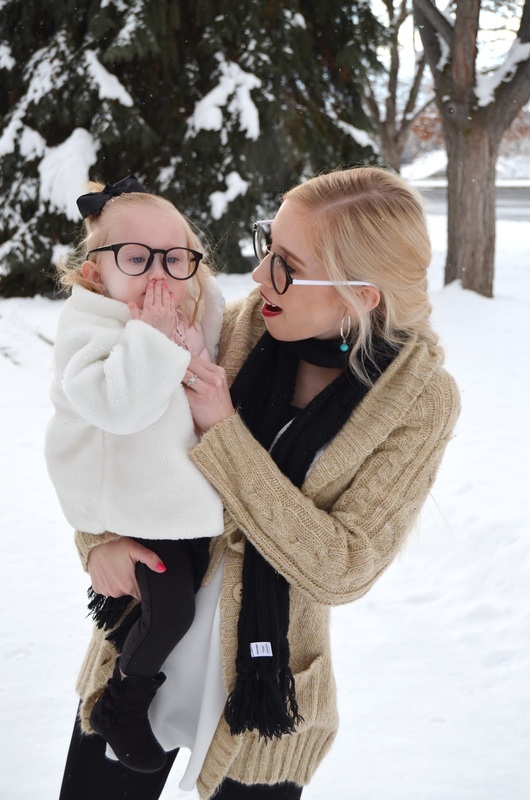 Super cute post - love the glasses! You look adorable in those glasses and that' a great outfit. Adorable looks and glasses ladies. Those glasses are definitely a steal.